Finding the right carpet cleaning company can be difficult. You never really know who you can trust, and what you should be paying for carpet services. Luckily, Comfort Carpet Clean provides the best carpet cleaning services in Johnstown, CO. You know that you can trust us to be honest, forthright, and all of our carpet cleaning is done only to the highest standards. If you live in Johnstown or any of the surrounding areas like Milliken, give Comfort Carpet Clean a call. We provide a large range of cleaning services like carpet cleaning, upholstery cleaning, odor removal, stain removal, water damage restoration, dryer vent cleaning, and more. Maybe you have a vehicle or RV that you need to get ready for the summer? We can do that too. Our auto upholstery and cleaning service is second to none. Johnstown is a great place to live, and thus you want a great carpet cleaning company to go along with that. 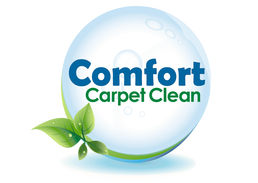 Comfort Carpet Clean has been serving all of Northern Colorado for many years, so our technicians have what it takes to get the job done. We are always up to date with the most modern practices in cleaning and stain removal, so you know you are getting the best possible job.